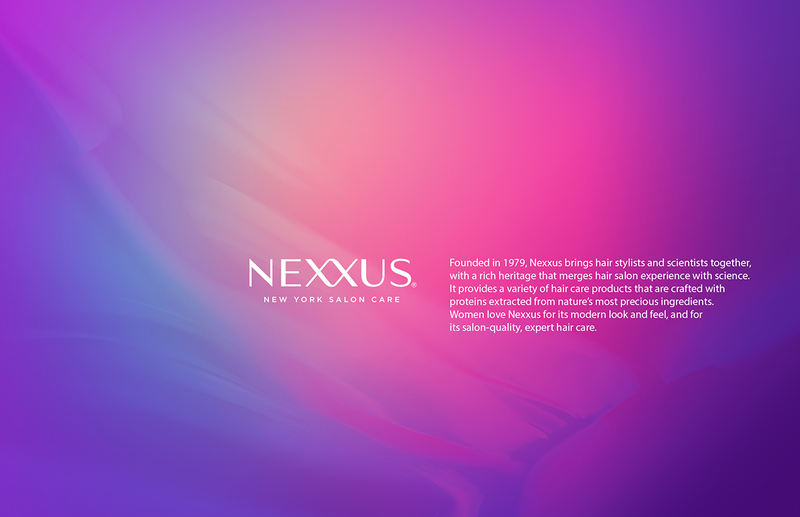 Founded in 1979, Nexxus brings hair stylists and scientists together, with a rich heritage that merges hair salon experience with science. 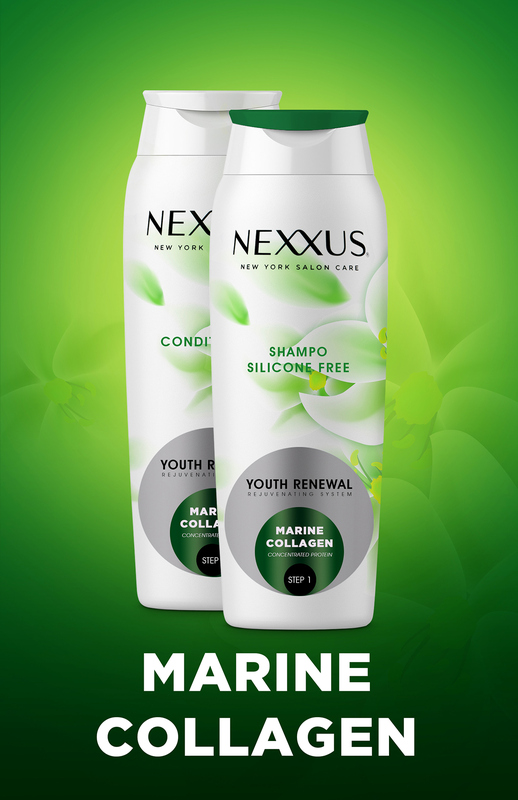 It provides a variety of hair care products that are crafted with proteins extracted from nature’s most precious ingredients. 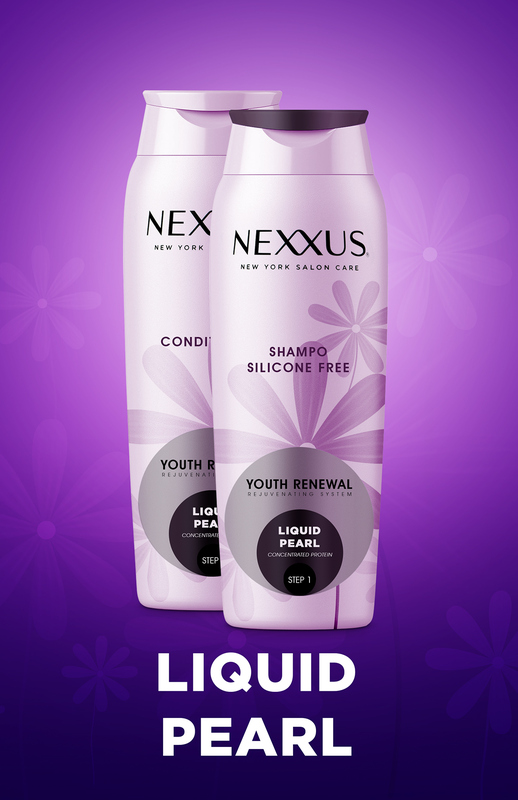 Women love Nexxus for its modern look and feel, and for its salon-quality, expert hair care. 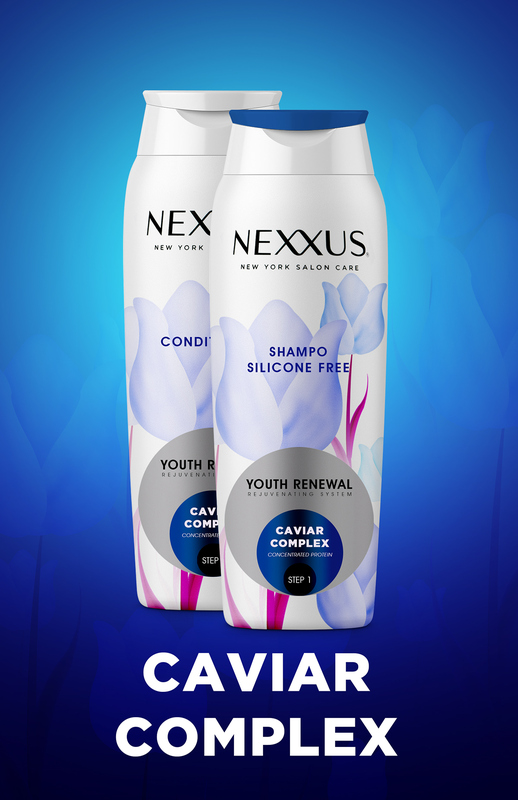 One way to add product value is to create unique, sophisticated, elegant and premium packaging designs. Based on research, the first impression is important. 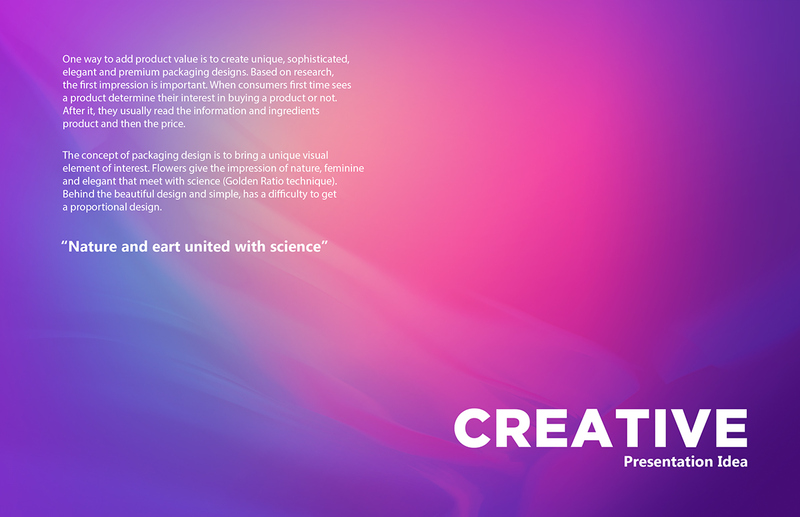 When consumers first time sees a product determine their interest in buying a product or not. 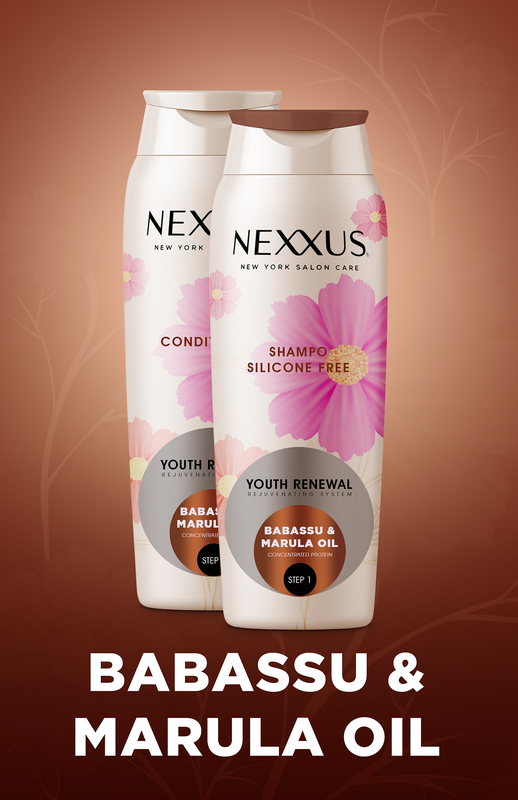 After it, they usually read the information and ingredients product and then the price. 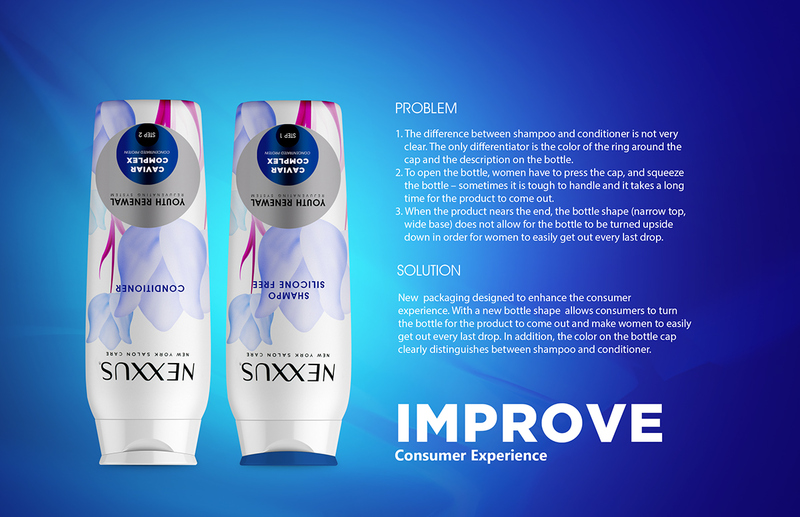 The concept of packaging design is to bring a unique visual element of interest. 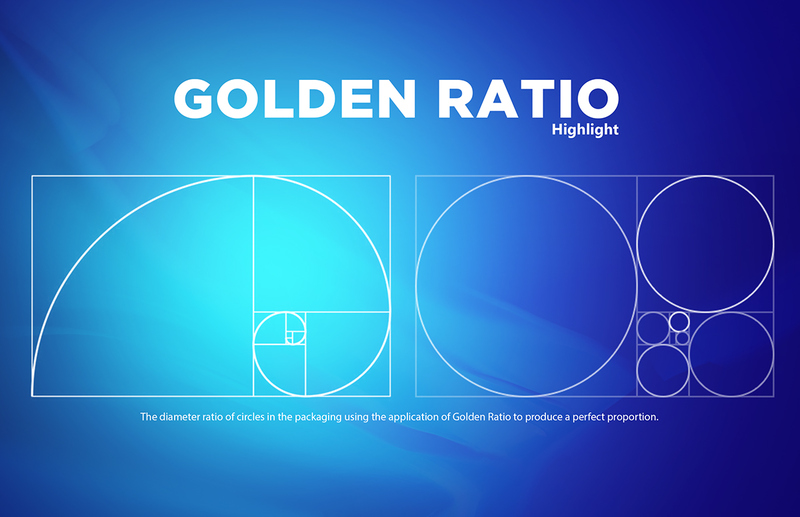 Flowers give the impression of nature, feminine and elegant that meet with science (Golden Ratio technique). 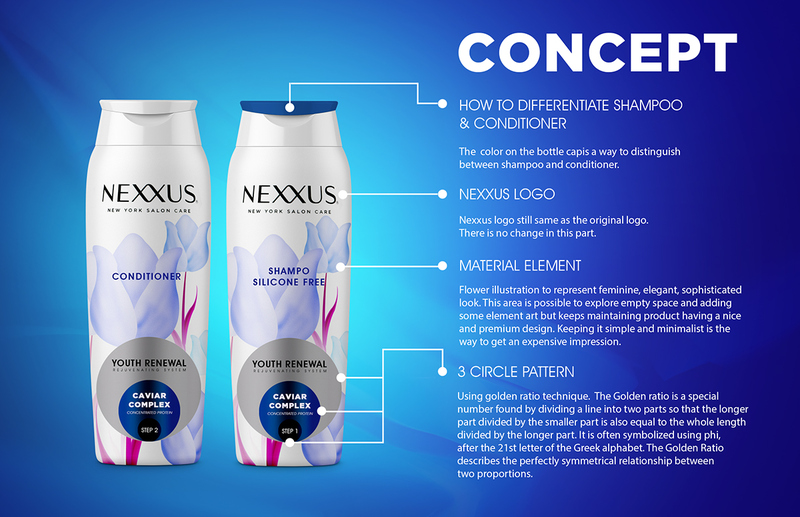 Behind the beautiful design and simple, has a difficulty to get a proportional design.